In a medium skillet. Heat remaining 1 tablespoon olive oil over medium high heat. Add country ham, and cook until it begins to brown, 2 to 3 minutes. Remove from skillet, and chop ham into bite size pieces when cool enough to handle. 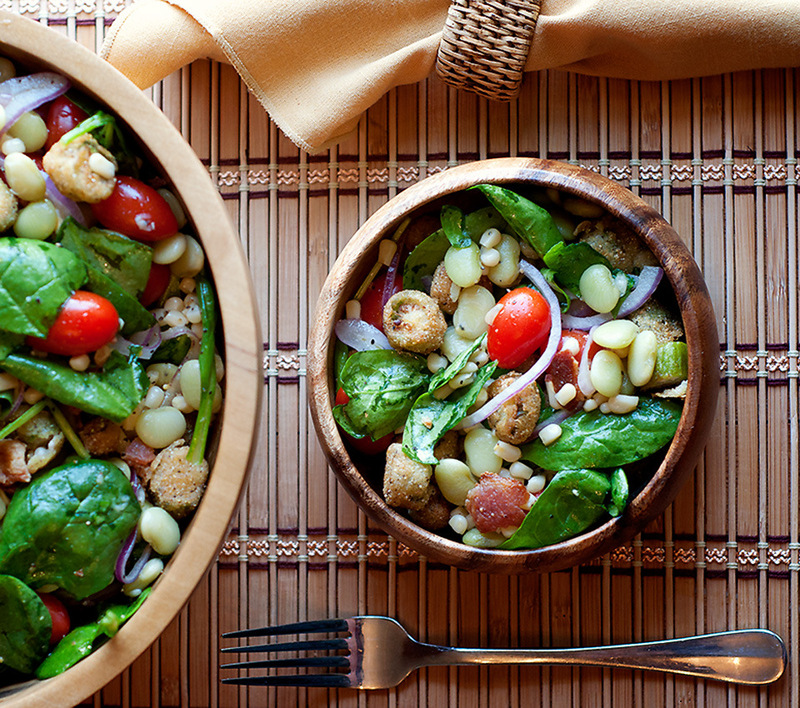 In a large bowl, place arugula and drizzle with dressing, tossing gently to combine. Add ham, friend okra, tomatoes, lima beans, corn, and red onion, tossing gently to combine. Serve immediately.